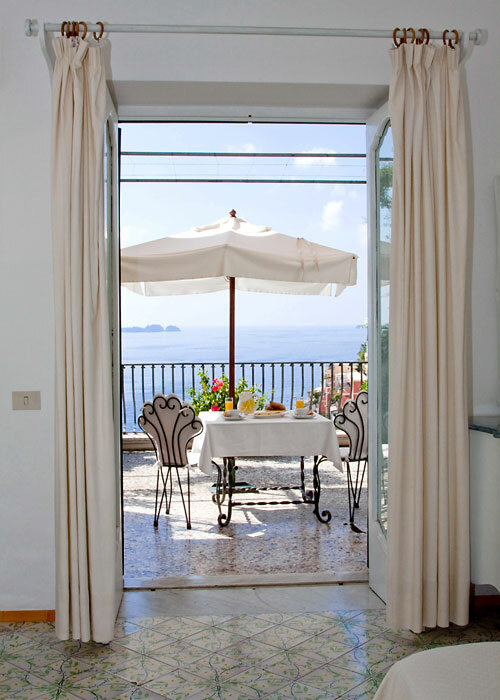 With its graceful arches, flower-decked porticoes and un-kissed terraces, Villa Rosa captures the charm of the Amalfi Coast's traditional seaside homes to perfection. 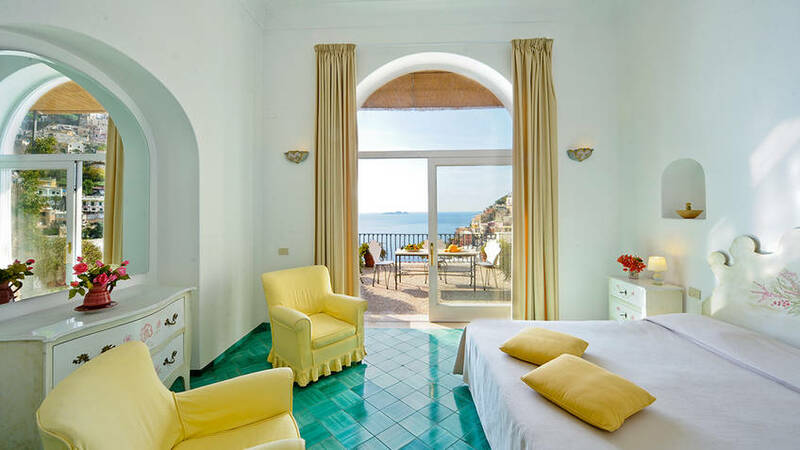 Add to this the sweeping views of the sea and the picturesque historic center, visible from every window and terrace, and it is easy to see why Villa Rosa is one of Positano's best-loved guest houses. 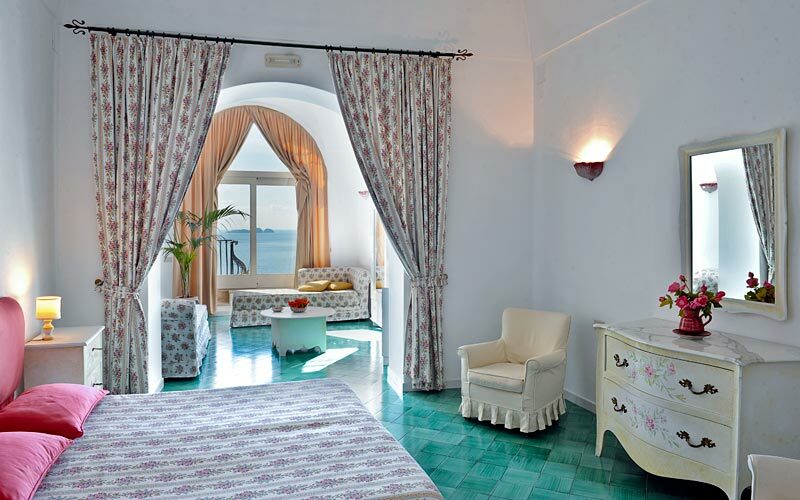 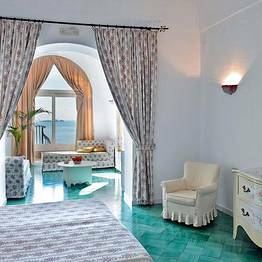 Inside the guest house, brilliant white walls and brightly painted majolica floor tiles from Vietri sul Mare fill the rooms with the colors of the sea. 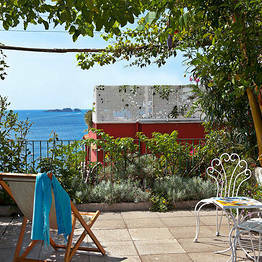 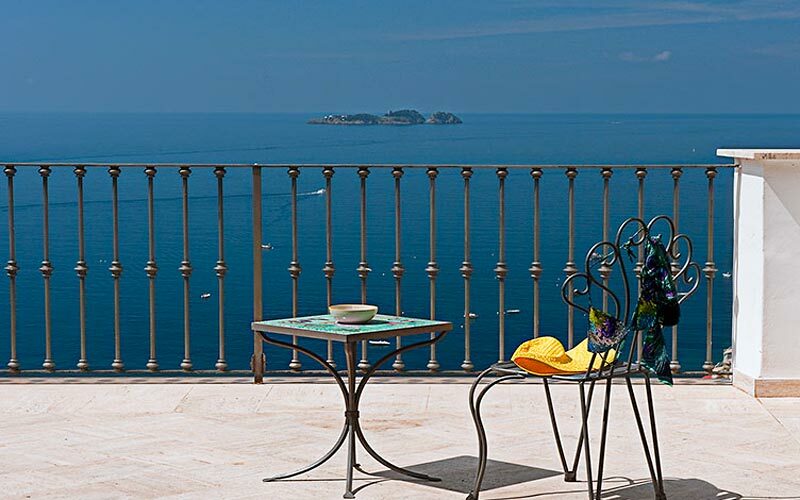 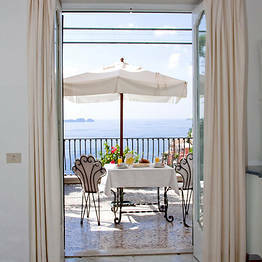 Part old fashioned coastal residence, part contemporary hotel, Villa Rosa is the perfect Mediterranean home-from-home. 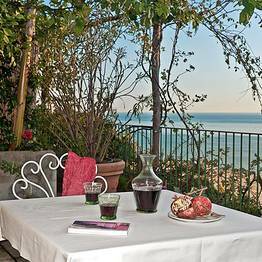 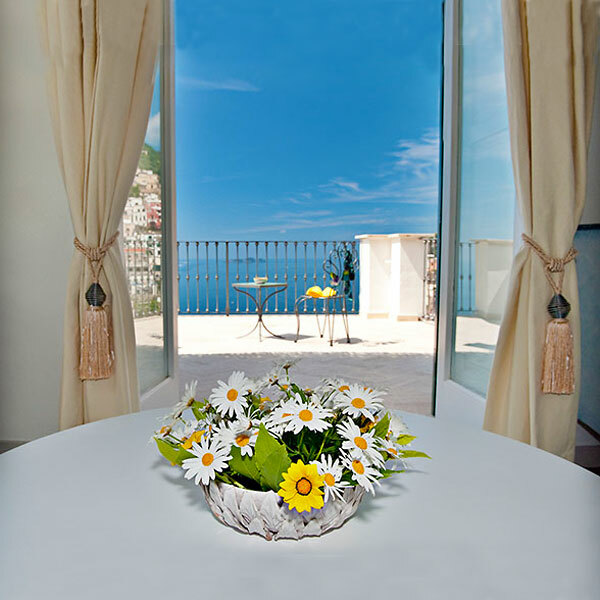 Villa Rosa offers attractive guest accommodation in tastefully furnished bedrooms, suites and an apartment, all of which open out on to their own spacious private terrace with view of the sea. 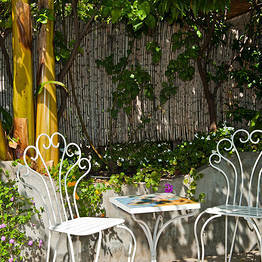 Air conditioning and wireless internet connectivity are standard amenities in all rooms. 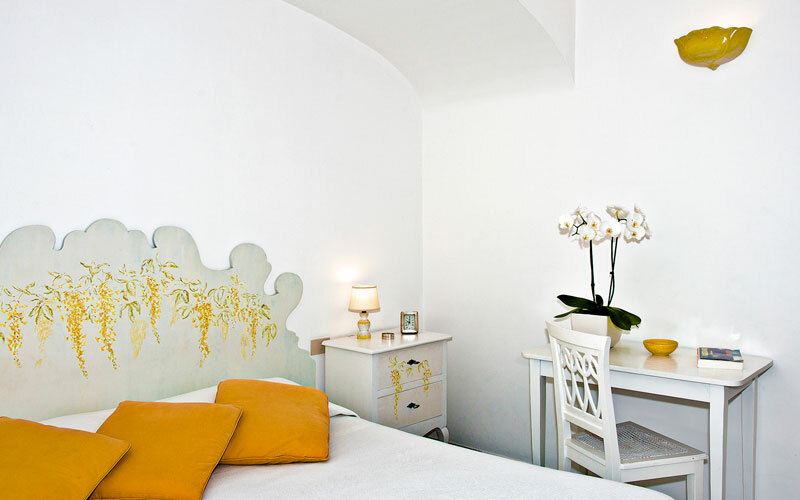 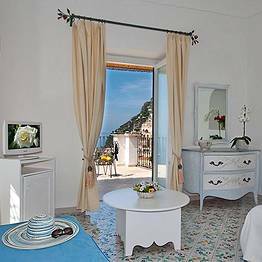 Guests staying at Villa Rosa experience life in the heart of Positano to the full, lodging within steps of the labyrinth of little lanes and alleyways which characterize the historic center, in which to discover any number of tiny artists' studios, boutiques, restaurants and bars. 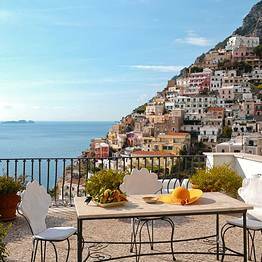 A holiday in Positano is, of course, one spent by the sea, lazing on the beaches of Fornillo and Spiaggia Grande or setting off by boat to explore the tiny bays and secluded coves which punctuate the shoreline between Furore, Conca dei Marini, Praiano and Amalfi. 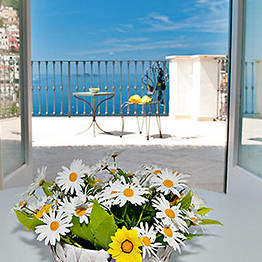 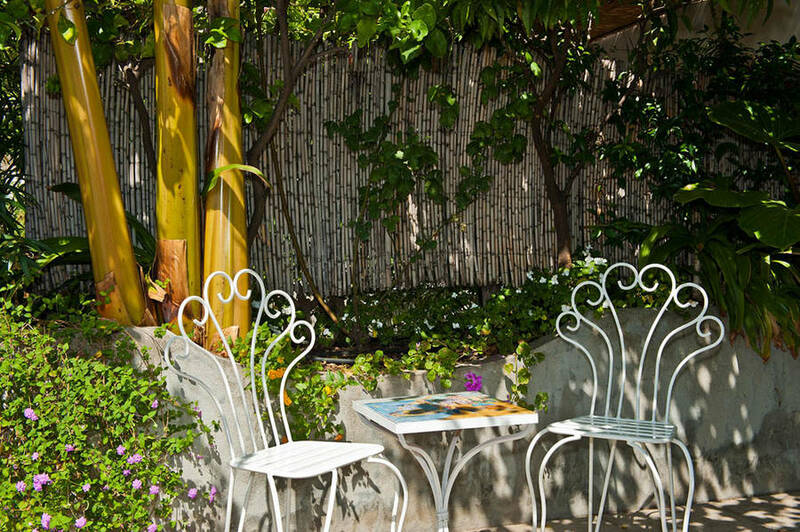 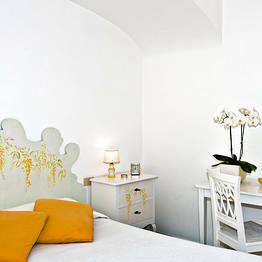 Villa Rosa enjoys a fabulous location right in the heart of Positano. 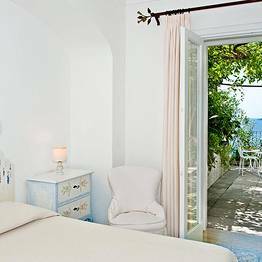 Just a few steps separate this seaside residence from the town's Spiaggia Grande beach and the maze of little lanes and alleyways which characterize the historic center. 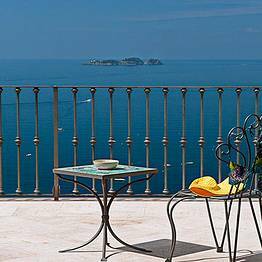 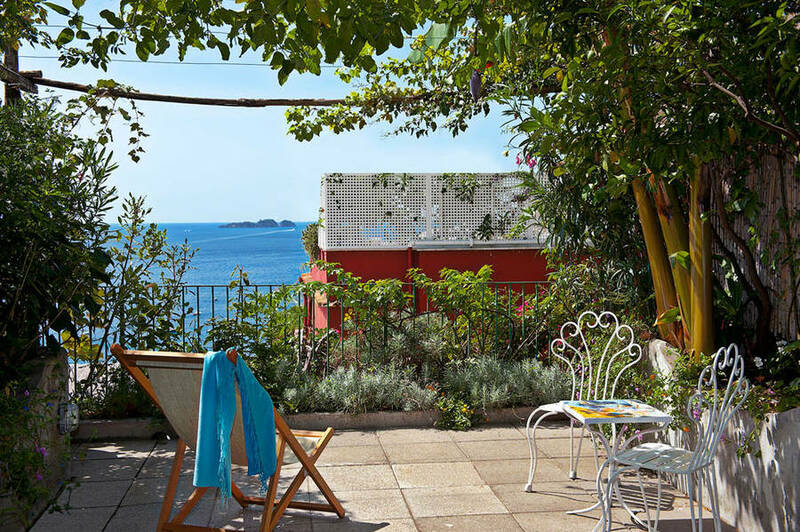 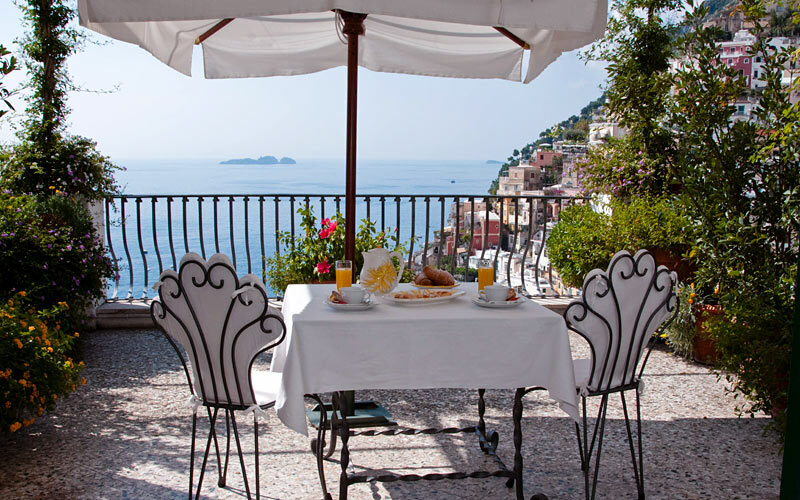 Villa Rosa bed & breakfast provides the ideal base for those wishing to explore Positano and all the other little towns dotted along Italy''s legendary Amalfi Coast, towns and fishing villages such as Praiano, Furore, Conca dei Marini, Atrani, Amalfi, and Ravello. 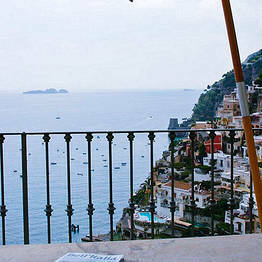 Book Villa Rosa on Positano.com now with no additional booking fees. 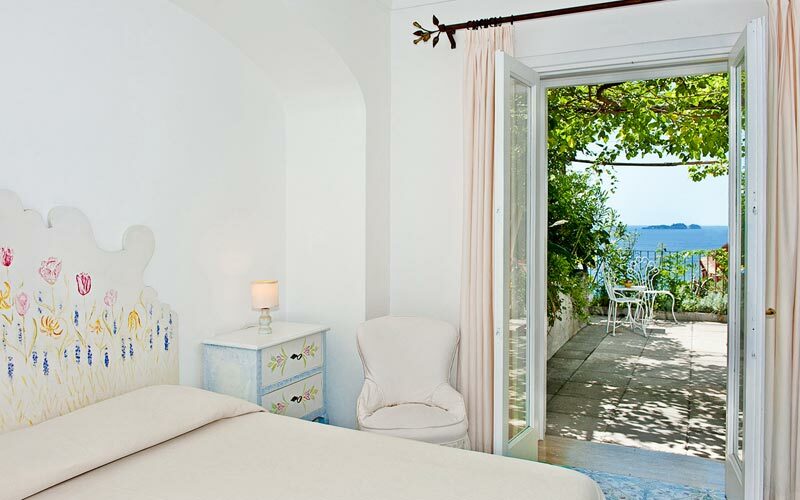 Mediterranean elegance in the heart of Positano. 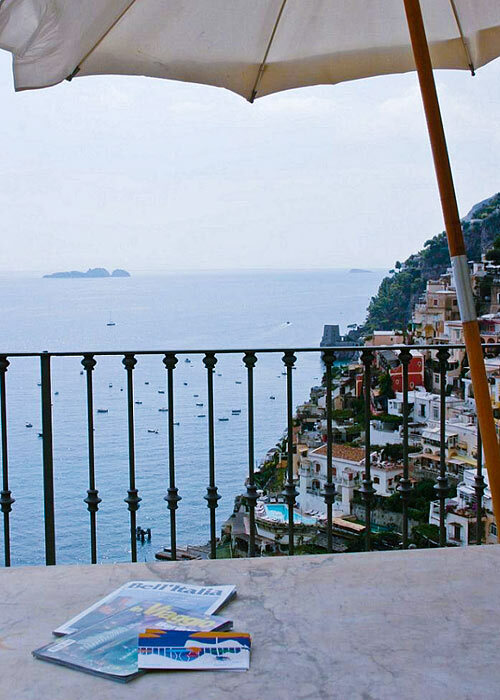 A home-from-home on the Amalfi Coast. 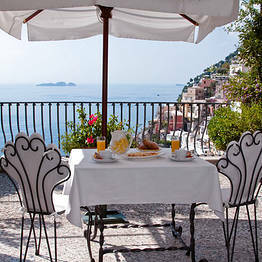 Breakfast with view of the "spiaggia grande" beach. 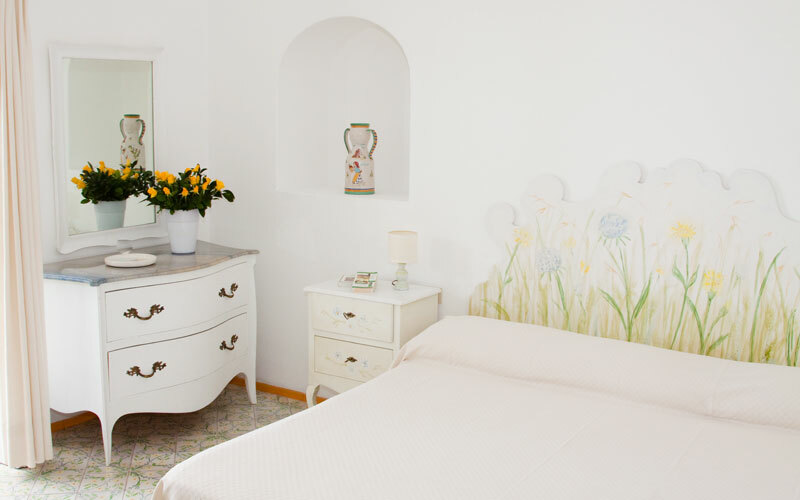 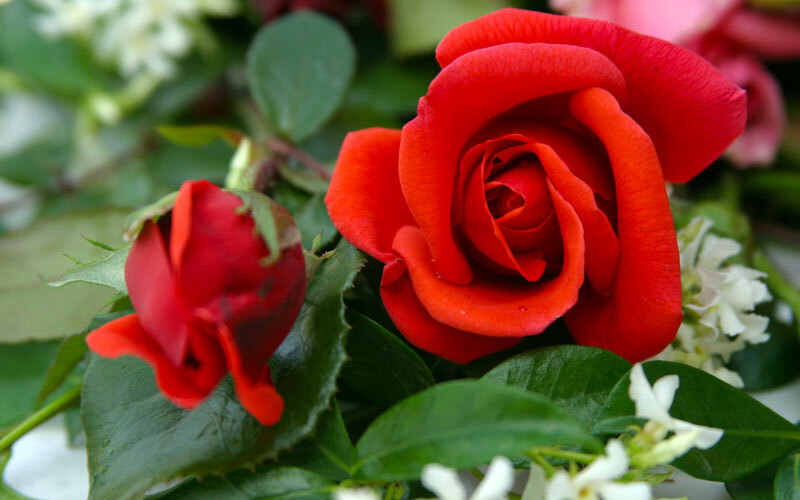 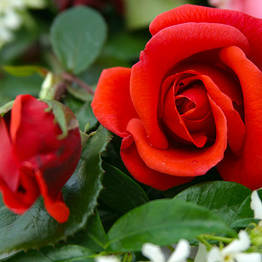 A B&B with just one room - just for you! 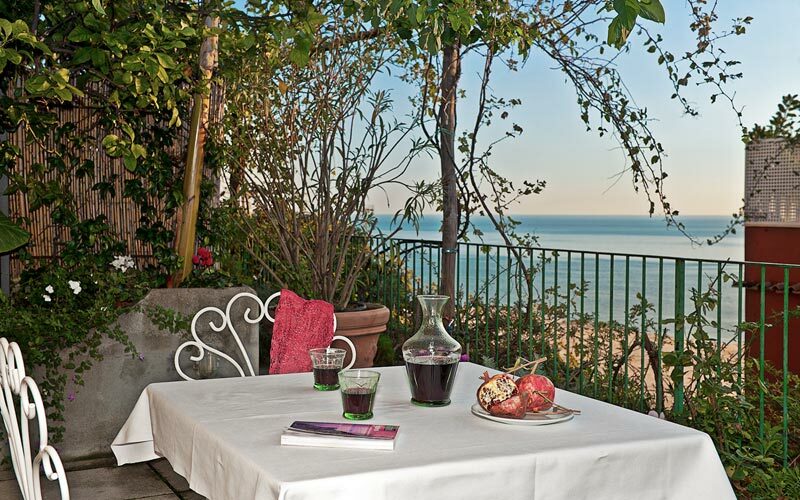 5 minutes and you're on one of Italy's best-loved beaches! 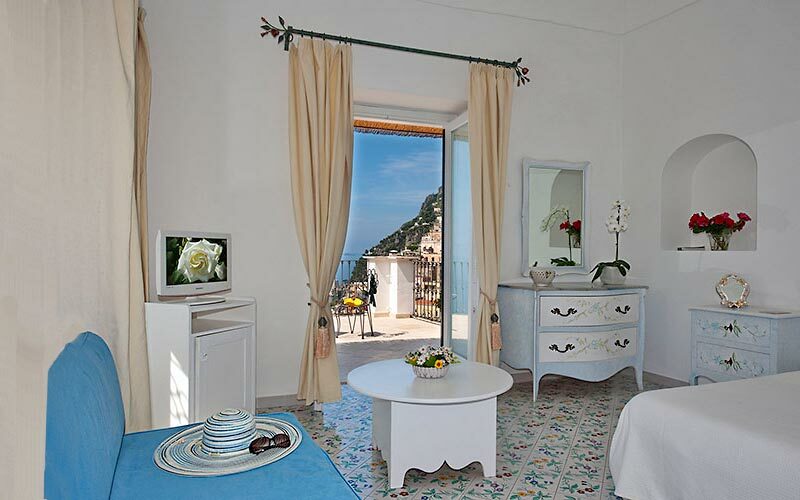 Your welcoming vacation villa in Positano! 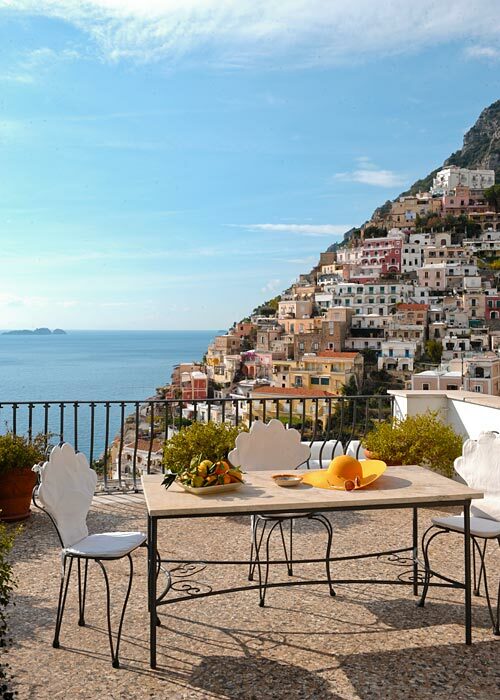 Positano's Fornillo beach is just minutes away!